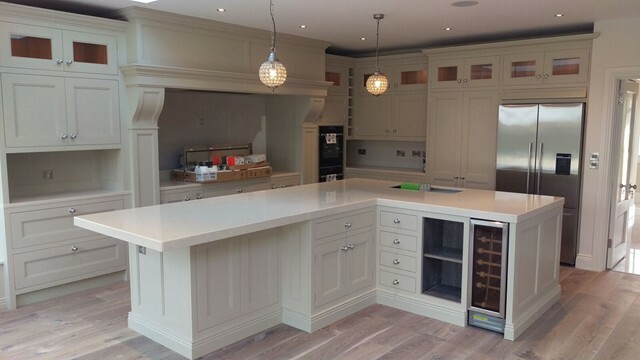 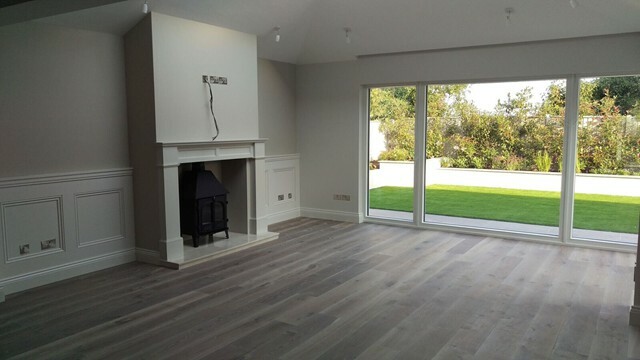 We completed this 25m2 extension to the rear of the existing timber framed property by removing the back wall of the property at ground floor level, leaving an open plan kitchen/Family room which extends to 72m2. 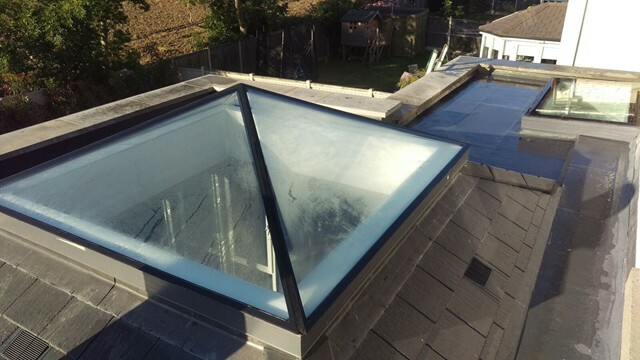 A Pyramid roof light and a flat roof light were added to the extension the roof was finished in GRP with a slate finish to the Pyramid roof. 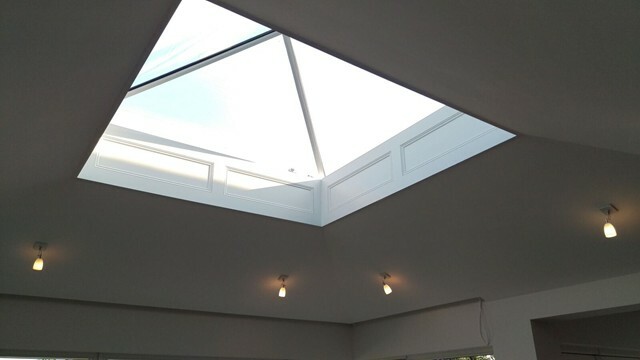 Wall Panelling was provided to the downstairs family room and around the Pyramid roof light. 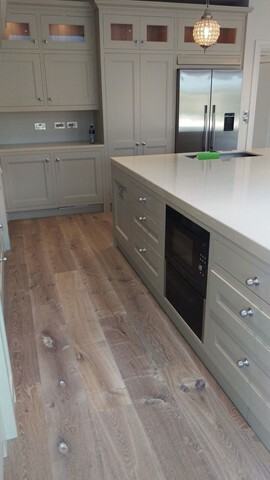 Engineered flooring was fitted to the extension. 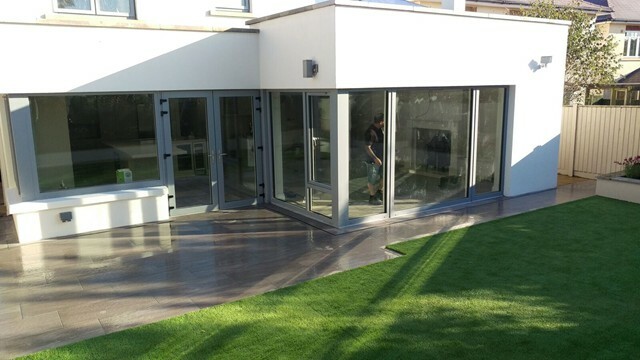 All existing windows to the house along with the new extension were changed to Alu-Clad Double and Triple Glazed. 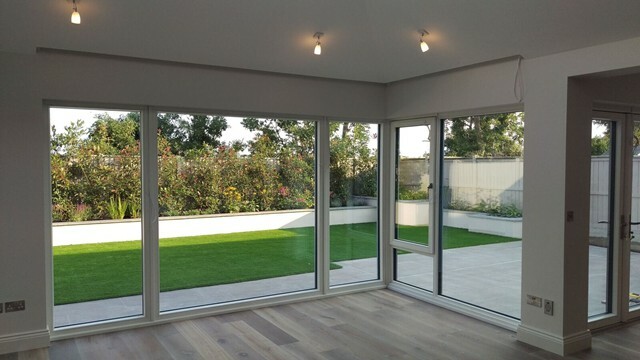 Recessed blinds were also added to the Windows of the new extension. 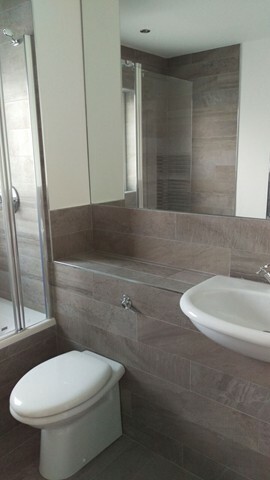 We also renovated two bathrooms to the house during the course of the works. 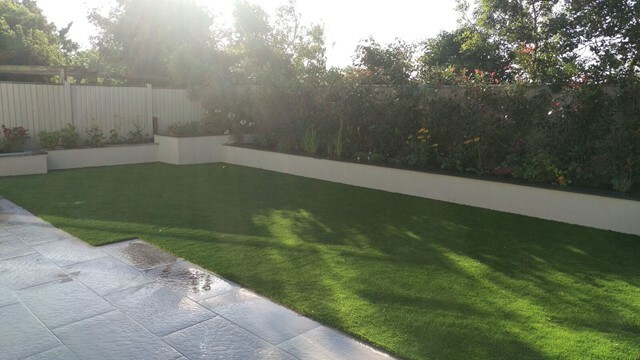 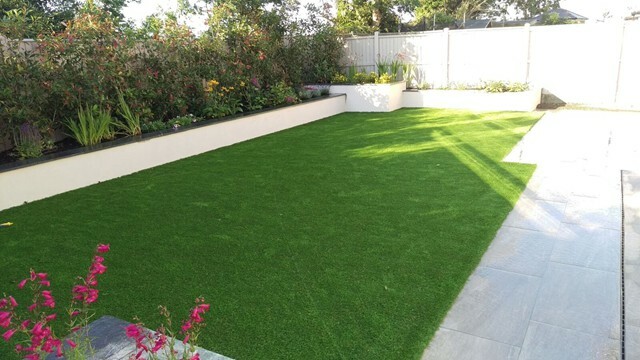 External landscaping completed by us included new raised planter beds with Artificial lawns and external Porcelain Tiling to patio area with Brick slot Acu-Drain.